you is "why do you only mention the Achilles tendon?" Aren't any other tendons just as subject to damage from Quinalones? I am confused, because you don't mention anything about shoulder tendons and Josh doesn't either, in fact, he only shows massage on the leg area...Now they want to operate on his left shoulder, even though it doesn't hurt near as much as the right shoulder does..he had the cortizone shot only in the right shoulder so it will be even better shortly, but we really don't want him to have surgery on the left shoulder. I mentioned the Cipro to the orthopedist and he pooh, poohed it, like I was nuts. He said he had never seen it be the cause of all the patients he's had with tendonitis and needed surgery and he tends not to believe what you learn on the internet about the anti biotic drugs. We have always taken a ton of vitamins, including every one you mentioned, including the CoQ10. Does the Cipro also cause tendonitis in other areas besides the Achilles Tendon??? Should he try what you have suggested before he lets them cut him open? It really doesn't hurt, compared to the right shoulder at all. Thanks for your answer and suggestions. One more question, what does he do when he gets another prostate infection, is there any other anti biotic that is safe?? I am Karen, and Dale is the patient. purchased this book, you've already seen lists of symptoms and that you already know that you have Levaquin Tendonitis." I can't mention EVERY symptom that someone might have because there are HUNDREDS of symptoms that people have. And so YES, ANY pain, ANY symptom that you might have after taking ANY of the Quinolones could absolutely be due to the Quinolones and your doctor just doesn't have a clue about the damage that these drugs can do. Unfortunately, as to whether or not you 'should' do the protocol before you do surgery, that's a judgement call that you'll have to make on your own. It depends upon a TON of factors, including whether or not he's functional, etc. So, what's the solution to the prostate issues? Well, there is a high probability that your husband is gluten intolerant and that is what's causing the autoimmune problem with his prostate. And YES, you CAN develop gluten sensitivity as an adult, and YES you CAN have isolated symptoms that seem to be entirely unrelated to gluten (but your doctor will again tell you to stop looking at the internet so much because he's totally clueless about gluten as most doctors are). 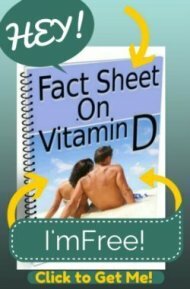 1) Getting his vitamin d level checked as vitamin d can significantly help with both pain and autoimmune problems. 2) Getting off of gluten completely to see if that will help. You might be shocked. If not, then you are getting TONS AND TONS of hormones AND antibiotics. I recommend NEVER EVER eating animal fat or protein unless the source is pasture raised and organic. If you AREN'T eating super clean animal proteins and fats and completely avoiding trans fats, then I would not in any way consider your diet 'healthy'. I would consider it horrible because animals are fed terrible terrible feed, not 'just' inorganic feed. Please read this post on California Happy Cows and the author's experience on a tour of a conventional dairy farm that PROUDLY was feeding their cows expired Fritos Chips and day old doughnuts- both with trans-fats, sugar, etc. If you are eating conventional animal products, then you may as well be eating trans-fat laden Fritos because that's essentially what you are eating. Is your water fluoridated? If you don't know, then you MUST call your municipal water source and find out- or even better, just don't drink tap water EVER and ONLY drink water from a known, clean, superfiltered source that doesn't have chlorine, fluoride, metals, etc. ONLY drink water where you know what's in in and that is super super clean. I also forgot to mention that my husband, Dale, woke up with a lot of pain in his eyes too, after being on Cipro, he went straight to the eye doctor who said he had Iritus, and put him on Pred Forte drops once an hour for quite a while then kept lowering the dose and weaned him off it...he seemed fine for a couple of days and then the pain returned, they put him back on it, weaned him off it again and the pain started coming back...so my husband asked if he could take a drop once a day as a preventative measure and the doc said yes and he has been doing it ever since...he never had anything like this before the Cipro regimen. So tendonitis, Iritis, torn rotator cuff and various body pains all over. I hate Cipro!!! As long as you cover the bones, it makes no difference how much water you put in. Put in 5 gallons or just barely enough, it just depends upon your taste. If you don't know, then make it 'weak' with a lot of water the first time and then less and less until you find the 'strength' at which you like it. Kerry...my husband has been doing your Levaquin Tendonitis Solution protocol for quite a while now and is sooooo much better then he was several months ago..His shoulder pain is almost gone. We continue taking the supplements that were recommended to help heal the damage done by the Cipro toxicity. I guess my question is, should he cut back on the D3 from 10,000IU every other day to? His eye pain also went away after doing your protocol and he no longer needs the Pred Forte drops.. Thanks for all of your help and is a D3 level that is 128 too high or dangerous? I'm SOOOO glad to hear that your husband is doing better. 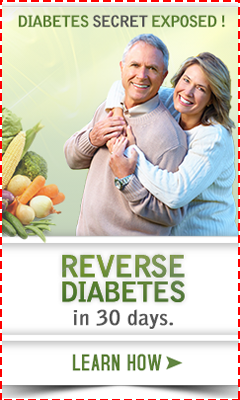 It sounds like you are doing the protocol right on track with the eating and supplements. That's fantastic. A vitamin d level of 128 IS too high. Not likely to be 'dangerous', but too high nonetheless. You might want to get him off of the Vitamin D for about 2 weeks or so and then start him off again at the 5000 IU's per day again, or the 10,000 IU's every other day as you prefer. If your husband gets out in the sun fairly frequently, you might want to avoid taking supplements on those days. As far as magnesium is concerned, a level of 1.9 is actually a tiny bit on the low side, even though it might say 'normal' on his test. In the hospital, they will very often give 2 GRAMS of magnesium to heart patients with a magnesium level below 2.0, and sometimes even higher depending upon the doctor. Since you can't take magnesium levels every day, my 'best' advice is to continue to take 'enough' magnesium to keep his symptoms at bay. It's hard to know exactly how much that is, so he'll have to become adept as what the 'right' amount of magnesium is for him. That 'right' amount might change, drastically, from day to day so you'll just have to 'play' with it.